Editor’s Note: With the Academy Awards drawing near, TLNT again asked some prominent thought leaders to write about their favorite movie from this past year with a HR or talent management theme. We’ll feature one each day leading up to the Oscars ceremony on Feb. 24. In the realm of action movies, The Avengers from the Marvel Cinematic Universe will be remembered as one of the greatest. With its cast of superstars as superheroes, The Avengers is one of few movies that has grossed more than $1 billion worldwide. And who doesn’t love a classic tale of good versus evil? But, it’s also a tale about putting together a high-performing team. The Avengers were assembled to accomplish the massive task of saving the world — a seemingly impossible task against an extraterrestrial enemy. As far as Nick Fury of S.H.I.E.L.D. was concerned, if anyone could save the world, The Avengers could. Consider if you built teams this way: Each person comes to the table with great credentials and is given a massive task with massive expectations for the team itself. Even if this is exactly the right team for the job, the early stages of team formation can be rocky. Big talent can sometimes come with a big ego and individualistic tendencies that make collaboration a big challenge. Personality clashes and negative competition can compromise the mission. If the team is to accomplish its goal, the individuals must learn to leverage each other’s individual strengths and work as a unit. In this way, every team needs clarity of purpose; a mission that inspires them to set aside their egos to get the job done. The storming period can be minimized by selecting people whose values are in alignment with each other as well as the mission at hand. Hiring for the right combination of culture fit and individual skill can present its own set of challenges. However, the right chemistry can make for a high-performance team poised to do amazing things. In the heat of the moment, The Avengers had no choice but to work together. Unfortunately, the enemy was at their door before they came to this realization. The magnitude of the challenge was overwhelming, everyone wanted to lead and they began picking each other apart. But there was also a moment when they achieved clarity, coalesced into a unit and discovered that they would only be successful if they worked together. So when insurmountable challenges arise — and for The Avengers, it literally came pouring out of the sky — teamwork is the only real solution for overcoming the challenge. For example, in entrepreneurial office cultures it can be hard to get everyone aligned around a singular focus. 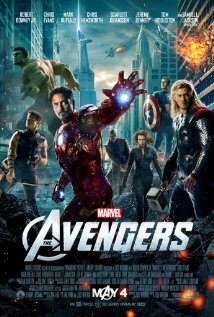 In the end though, each member of The Avengers team had a role to play in saving the world. And when you have a high performing team, they are only as powerful as they are unified in their mission. Kimberlee Morrison is an writer, editor and Culture Evangelist for Infusionsoft, where her job is to help people feel connected to the company culture, both internally and externally. She also writes the Infusionsoft Culture Blog discussing how to build a culture based on shared purpose and values. Contact her at kimberlee.morrison@infusionsoft.com.